Opis: Lara Jean’s love life gets complicated in this New York Times bestselling “lovely, lighthearted romance” (SLJ) from the New York Times bestselling author of The Summer I Turned Pretty series. Opis: Can you fall in love with a voice? 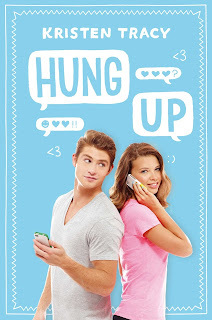 This witty romance, told entirely through phone calls, chronicles the tale of a wrong number gone right. Opis: Violet McKenna thought she was crazy when she had a vivid vision of her dad’s murder—but when her premonition came true, her life fell apart. Then she found a new school. At Winterhaven, Violet fits right in. All the students have special “gifts” like her own, and she quickly finds a close group of friends. 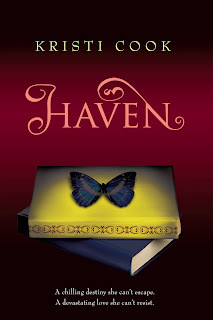 But Violet’s attraction to an alluring boy becomes problematic when intense visions of his death start to haunt her. In her premonitions, the secret he is unwilling to share begins to reveal itself—and the unbelievable becomes reality. To Violet’s horror, she learns that their destinies are intertwined in a crictical—and deadly—way. Muszę sprawdzić tą książkę, o której piszesz, bo nigdy nie słyszałam, a skoro wywołuje książkowego kaca, to musi być dobra! 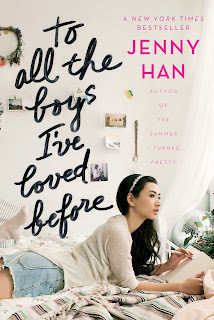 Właśnie się zabieram za To All the Boys I've Loved Before :) I choć jestem dość ostrożna, bo nie podobała mi się inna książka Jenny Han, to jednocześnie się cieszę, bo tyle osób ją chwaliło i uwielbia.